Love is found in the company of Lies, who was also found as one of the representations on the wall of Venus’s temple in Chaucer’s Knight’s Tale (line 1927). Love keeps bad company, and is even described in a manner that Lydgate will use to describe fickle Fortune in the Troy Book who bears “Feyth in hir face & fraude ay in þe tail” (Book I, Line 3314). These lines also bear resemblance to the “fals semblaunt” in the Romaunt (line 7297). With feyned port and presumpsion. And hynder Truthe, as hit ys seyn ful ofte. In continuing with the parallel of fickleness, Love wears a “feyned port” that was also the complaint of the lover in Belle Dame (line 338) who argued that a real lover would surely complain far more. In other words, the false lover can only hope to magnify their own untrue feelings to match that of the real lover, but generally to no avail. The idea of the lover using words to deceive, along with the contradiction between thought and speech is well documented in other medieval poems (without implying the notion was solely a medieval one, which it most certainly was not, and persists to this day). Some of the potential sources for Lydgate would have been the Romaunt, (lines 2538-2542), and Roman (lines 2409-2410). Lydgate also borrows from the last part of this stanza in the Troy Book (Book II, Lines 4280-4281). Fro day to day – alas, the harde while! The idea of Cupide wounding his lover with his arrows has numerous parallels, among which are the Romaunt (lines 1715-1926), and the Metamorphoses where Cupide demonstrates to Apollo the prowess of his weapon, the arrow, by shooting him and Daphne with apposing arrows after Apollo ridicules his choice of weapon. Here Cupide’s arrow flays the lover haphazardly, on a whim, whenever he “list” to do so. The imagery creates another direct reference to Parliament: “Cupide our lord his armes forge and fyle” (line 212), showcasing Cupide’s care for his tools. Unto my trouthe throgh her cruelté. Love is as cruel and piercing as Cupide’s arrow, ripping the lover’s heart in two. The stanza echo’s the sentiment in Analida: “And shal I pleyne – alas! the harde stonde – / Unto my foo that yaf myn herte a wounde / And yet desireth that myne harm be more” (lines 238-2-40) and the verbiage earlier in Analida, (that appears at the end of Lydgate’s stanza): “Ryght as him list, he laugheth at my peyne” (line 234). To her allone to serve feythfully. The Lydgatean lover laments his lack of reciprocation in the same style as Aurelius in The Merchant’s Tale: “Lo, lord, my lady hath my deeth y-sworn” (lines 1038-1039). The lover, much like Aurelius, remains faithful to the end. He begins to pray to Venus, who is depicted as blind, which, according to Henryson, links Venus directly to Fortune from whom the blindness was transferred. This serves to greater establish the connection between Love and Fortune, hinting at their potentially parallel natures, namely fickleness and mutability. Marketh nothing, but sheteth by wenynge. To hurt his frende rathir then his foo. The trwe sleeth and leteth the fals gon. Cupide’s inconsistent nature is further noted, relying on common means of viewing him. Lydgate’s Cupide has a stormy temperament much like in Troilus (Book II, line 778) and later in the Troy Book (Book II, lines 2544-2545). As for Cupid’s blindness, it is not uncommon to depict him this way, as is done in the Romaunt (lines 3702-3703). Considering he is an archer, such imagery plays well into the notion of his “doublenesse” as it can be interpreted that he shoots his arrow haphazardly, without a specific target, leading others to confound his lack of aim for lack of stability. Unto his foo to fynde remedye. My lyves foo to have my wounde in cure. The beloved is simultaneously the foe, and the doctor who can provide the necessary remedy. This is a conceit that has it’s roots in Troilus (Book I, line 874), the Canterbury Tales (line 2780), and Anelida (line 272), with the “leche” providing consolation in Belle Dame (line 201). The lover’s sentiments now shift, and when I continue next time, we will see how his lament turns towards other concerns. MacCracken, Henry Noble, ed. The Complaint of the Black Knight. In The Minor Poems of John Lydgate. Norton-Smith, John, ed. A Complaynt of a Loveres Lyfe. 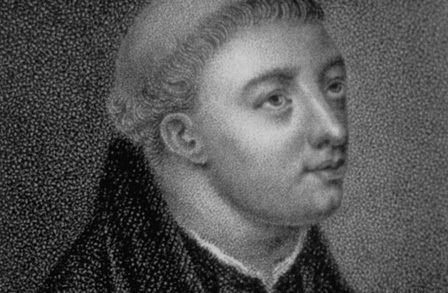 In John Lydgate, Poems. Per usual, I am going to start where I left off with Lydgate’s “A Complaynt of a Loveres Lyfe,” and hopefully at some point this summer the entirety of the poem will have been looked at. The lesse thanke, alas, I can deserve. There is a clear parallel here with the Romaunt not only in the language (in which the lover will “serve his love with herte and alle” line 1883), but also in theme. Once again we are reminded of Daunger who will thwart the lover from reaching the rose every chance he gets, for no reason other than that he can. Further, through a series of personifications a catalog of allegories is created that adhere to typical medieval concerns and retain structures that would be familiar to an audience who had most likely read the likes of Chaucer or Gower, among others. The scope of this catalog is to enact the relations between the knight and his lover while likening it to other forms of interpersonal contact. The language used for Daunger is that of war, portraying it as militaristic, much like it is described in the Romaunt (line 3435). Of her malis, that Trouthe shal be slawe. The imagery shifts at the end of this stanza to that of law, and justice, (not unlike Chaucer’s Complaint unto Pity, line 53). Envye and Trouthe are both derived from the aforementioned sources, the Romaunt and Pity, respecitively. Also, Gower in Confessio, discusses Envy in Book 2, and Wrath in Book 3. Envy also makes an appearance in Part I of Pilgrim’s Progress (among numerous other medieval texts). The personification of character traits continues, and Male-Bouche, or Foul Mouth comes from the Romaunt (line 3024), but the rest of them are originally Lydgatean, such as Fals-Report, and Mysbeleve. The last one, Fals-Suspecion comes from the Romaunt (line 2507), but the personification is Lydgate’s product. The grouping of four villains found in the Romaunt (Foul Mouth, Shame, Fear, and Danger) is here recreated, acting to prevent the lover from reaching his interest, the lady. And hath therof the ful possessyon. In Trouthes ryght, to sle him giltles? In his fraunchise he may not lyve in pes. There is an interesting play on words in this stanza. Falsnes from the previous paragraph is usurping Trouth’s “londe,” with an echo of the Romaunt (line 2783) where hope resides, or holds land, within the knight. Here though, Falsnes falsely resides in the knight. In other words, the lady perceives Falsnes in the knight, and wrongly attributes it to him, but in reality he is Trouth’s property. He bemoans that he cannot make his lady see this truth. His jugement in presence of hys fon. Ther ys no geyn, but he wil be wreke. Love is often found punishing Trouthe and siding with Falsity. Chaucer and Langland make use of the trope – think of the extended trial scene in Piers Plowman, Passus 3, in which Trouth is placed on trial and actually condemned. Cruelte is first personified by Chaucer in Part II of Pity. Also, think of the contradiction between this trial scene and the one that figures in Chaucer’s Parliment. When Nature is the judge, justice and truth stand to win, perhaps implying Love exists in an unnatural state, and by virtue of its unnatural existence it is flawed and unable to deliver justice. There is also a disparity between manuscripts on the word “cleke,” with the possibility that, according to the OED and MED, it implies foolishness, but depending on which manuscript you reference, Lydgate may have used it prior to the first instances of it in either of the reference sources. If this is the case, then it would simply mean the knight is calling out, or crying, but not necessarily in vain. The knight appeals to the sovereign of Trouth, similar to the plea in Chaucer’s Anelida. Love as the source of imprisonment, binding its followers with chains is also not a new concept. It appears in the Romaunt, in the Knight’s Tale, and Love’s “firy” chain is a reminder of Cupid’s “fyry dart” in Chaucer’s “A Complaint to his Lady.” Lydgate also uses these terms in Temple of Glas (line 574) and the Troy Book (Part IV, line 1550). Nevertheless, even as the lover is condemned to death in lines reminiscent of the Knight’s Tale (lines 1010), he will tarry as long as he can in Chaucerian terms once used to translate Boethius (to drawe along, prolong from Latin “protrahit”). And cherissheth hem my deth for to purchace. He ends his plight by reiterating his faithfulness and loyalty to the one he loves, only to lament that his love has been turned against him by false “accursurs.” However, he does not acquiesce, and will continue questioning the rationality and/or justice behind such an ending. Next time I shall discuss his argument. Leach, Elizabeth Eva. Sung Birds: Music, Nature, and Poetry in the Later Middle Ages. At this point it has become quite clear I will not be using Lydgate’s “A Complaynt of a Loveres Lyfe,” for my Kalamazoo paper, but nevertheless I’m enjoying going through the poem, stanza by stanza. I will be continuing forth from where I left off last time. Per usual, my sources listed at the bottom offer far more information should you be interested in reading more than the glimpse I offer here. Modesty was most certainly a virtue in the medieval period, and a trope many writers made use of when beginning their works. While we are indeed 200 lines into the poem, here the narrator is only just beginning to relate his story. Until recently it was the frame narrator speaking, and not the poet within the tale persona who is voyeuristically spying on the knight. Another famous example of negations of talent can be found in the General Prologue and Legend of Good Women. Interestingly he attributes the tale to a master of various natures and considers himself no more than a mere scribe transcribing what was given. Of course, with recent scribal scholarship there is a great deal more we have learned about scribal culture and its function, making it hard to believe that they did little more than copy texts like xerox machines. More often than not they interjected themselves into the text by making corrections or emendations well out of line with what was being asked. Their motives were usually to improve the text, and even on occasion make it more aesthetically pleasing as they re-envisioned the mise en page, sometimes at the actual expense of the text. Nevertheless, here Lydgate relies on the very conventional understanding of a scrivner. For to reherse anon I wol me dresse. That highte the tabard, faste by the belle. And al the remenaunt of oure pilgrimage. Ne thogh I speke hir wordes proprely. He moot as wel seye o word as another. And wel ye woot no vileynye is it. The wordes moote be cosyn to the dede. Heere in this tale, as that they sholde stonde. My wit is short, ye may wel understonde. This is not to argue that the Lydgatean narrator is necessarily mimicking Chaucer’s since again, this was a common trope. However, I wanted to use one of the best known examples as evidence for the different ways in which the meek narrator can exist. He asserts his deep rooted desire to relate the events as closely as possible with little regard for his own opinions and sentiments, followed by an apology for his own shortcomings and ineptitude to do justice to the piece. The narrator bids any men who have been either in love or a hindrance to love to show themselves. There is a intonation that one or both types of men will be the main topic of his forthcoming telling, and thus they would have the most to gain from hearing him. Th’effect of which was as ye shal here. Again, these men, who have known love from one side or another, are best suited to hear the complaint of the knight as the narrator will here tell us. The lover’s complaint was another often used trope that entailed the lover bemoaning the effects of his lovesickness. He is on the brink of death and only his love’s attention could resurrect him enough to continue living. While Troilus is first to come to mind, Aurthuriana is rich with such examples of men swooning and lamenting their fate as lovers. And thus the complaint commences. Parcel declare grounde of my peynes alle. Interestingly, the actual complaint, while describing emotion, relies purely on logic and reason through a series of complicated rhetorical exercises. It has been noted that much like Chaucer in the Parlement, Lydgate uses anaphor (look for this as one of the words in the last line of each stanza is repeated in the first line of the following stanza), and parison, but turns these concepts into a catalogue meant to emphasize the key elements of love. Over the next few stanzas certain words are indeed underlined in MS Fairfax 16, suggesting they are the keys to understanding love, and the lover. The body eke so feble and so feynt. Once again lovesickness becomes an actual physical ailment where the lover experiences bouts of hot and cold, much like a fever peaking, breaking, and returning full force. Similarly like strong fevers, lovesickness was serious enough to believe it could kill a person. The direct comparisons to the knight can be found in the Troilus, but also in Lydgate’s own Temple of Glas. Of grevouse colde ys cause everydele. Recall Troilus who “For hete of cold, for cold of hete I dye” (1.420), and the process of hot and cold representing the various forms of anguish that are there referred to as an “axcess,” much like the “acces” here. This ys the colde that will me begile. The coldness felt by the lover can be interpreted in several ways. His heart may be hardening to the indifference of his loved one. He is slowly feeling the progressive cold of death. The rest of his lament will help us glean his inner most thoughts and understand the situation he faces. In the next installment we will see the causes and results of this cold he feels.